One of the most popular things people search for online are song lyrics. 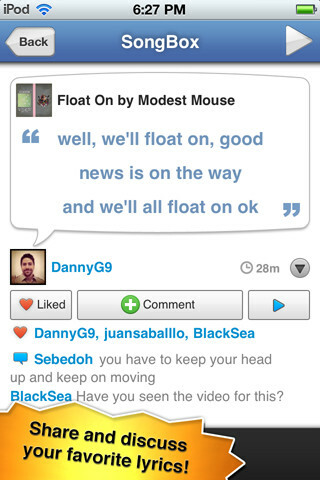 With today's app you'll no longer ever have to search for lyrics, it does it for you automatically. 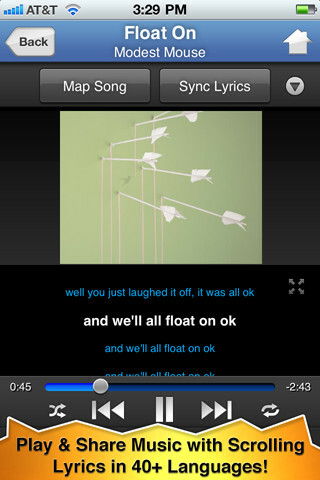 TuneWiki is a music player for your iPhone that automatically fetches the lyrics for the songs you have stored on your iPhone, and then syncs those lyrics to the song so you can see them as you are listening to the song. The result resembles what you'd see on a karaoke machine, where the lyrics scroll automatically according to the song, for any song you have on your device. The TuneWiki database has hundreds of thousands of songs but in the slight chance that they don't have synced lyrics for a specific song you are listening to, you can easily sync the lyrics that they have, or submit new lyrics to their database. Another cool thing the app does is instantly translate lyrics into 40+ languages, so if you are listening to a song in a foreign language you can now understand what the words mean, as you are listening to it (word by word). Additional features that TuneWiki offers are the ability to share lyrics with your friends and to comment on and discuss the meaning of songs with other people. It also helps you discover new music by showing you songs that are being played and recommended by your friends. 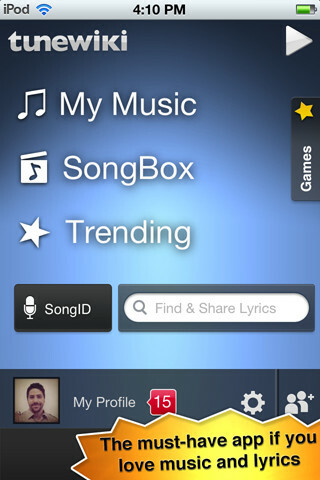 You can also see song maps and real-time top charts to discover popular songs nearby and around the world. Plus, TuneWiki has a song identification feature, like Shazam and SoundHound, that lets you play any song and the app will recognize it (and obviously also show you its lyrics). 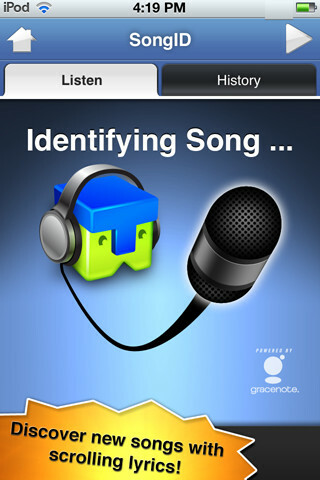 TuneWiki is free and works on iPhone, iPod touch, and iPad. They also have versions for Android, Windows Phone, Nokia, and even a desktop player for both Mac and Windows (you can get all of those on the TuneWiki apps page).